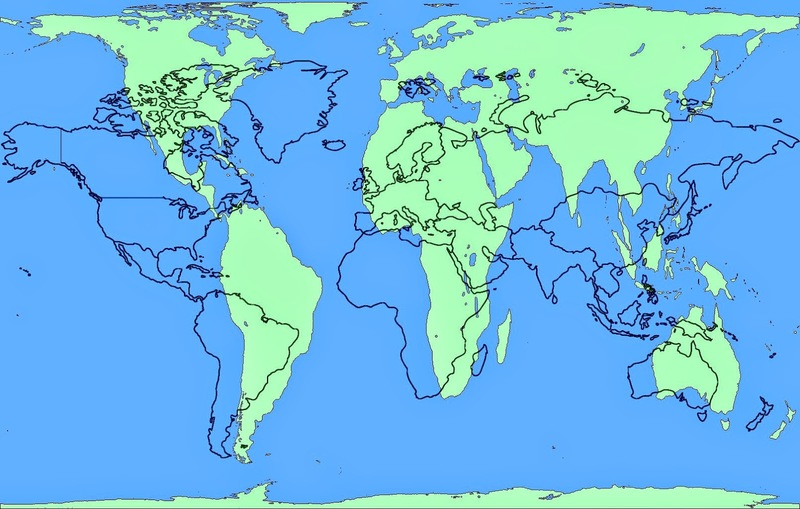 Image above: The Mercator projection (black) overlayed on the Peters projection. A world but not as we know it! * Check out this site as part of your revision on the changing world population. What can the median age of a country tell you about its future? Turns out, quite a bit. Using data from the CIA Factbook, we’ve created the graphics below to show you the median age of every country in the world. There are 1.2 billion people between the ages of 15 and 24 in the world today — and that means that many countries have populations younger than ever before. The world’s 15 youngest countries are all in Africa. Of the continent’s 200 million young people, about 75 million are unemployed. The world’s youngest country is Niger, with a median age of 15.1, and Uganda comes in at a close second at 15.5. On the flip side, an aging population presents a different set of problems: Japan and Germany are tied for the world’s oldest countries, with median ages of 46.1. Germany’s declining birth rate might mean that its population will decrease by 19 percent, shrinking to 66 million by 2060. An aging population has a huge economic impact: in Germany, it has meant a labor shortage, leaving jobs unfilled. What do you think will be the long-term impact of the world's shifting demographics? Have a good look at the maps in this article to support the above geographical analysis. The 2014 Ebola outbreak in West Africa has killed more people than sum total of all the previous outbreaks since the virus was first identified in 1976. This video explains how it got so bad." A really interesting blog on projections, containing some great visuals to show students that the world can be shown in many ways. Just like statistics, we can manipulate projections of the world to meet any agenda - why is England always in the centre of maps and Australia to the East! In particular the blog provides the opportunity to revisit that great scene from 'West Wing' where they are briefed on projections.